Your alarm goes off and it feels like a gorilla is sitting on your chest. You took extra care to go to bed at a reasonable hour last night. You even turned off all of your electronics an hour before just like you’ve heard other people suggest. You fell asleep quickly, but you still feel completely exhausted, just like you do every morning. What is going on? You may have sleep apnea in Plano, and Dr. Keane Fedosky wants you to know how you can be sure. Sleep apnea has also been shown to lead to an increased risk of diabetes, hypertension, and cardiovascular disease. How Can I Figure Out If I Have OSA? The only way to truly diagnose sleep apnea is with a sleep test. Typically, this would involve the patient going to a sleep lab and spending the night while hooked up to monitoring equipment. This is not the ideal place for an already exhausted person to get sleep. We remedy this by offering at-home sleep testing from Sleep Rehab. You don’t need to ask the internet, “Where is a sleep clinic near me?” It’s right at home. We provide you with a simple machine to wear while you sleep in your own bed. You will then bring it back to Dr. Fedosky who will analyze it and see if you have sleep apnea. From there, he can come up with a treatment plan. 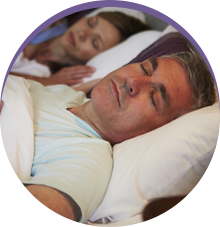 While many patients are able to treat their sleep apnea with a CPAP machine, others find they get a better result with an oral appliance from Sleep Rehab. 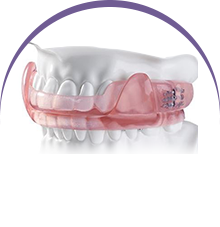 It’s a type of mouth guard that you would wear whenever you go to sleep. It helps by gently shifting your jaw forward so that the tissue in your mouth and throat cannot cut off your breathing. They are custom made, simple to use, and have been shown to increase the sleep quality of 95% of the patients who use them on a consistent basis. 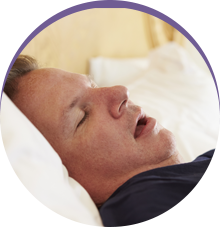 If you would like to know more about how we can diagnose and treat your sleep apnea, please give us a call today. The quality of your sleep is just as important to us as it is to you, so if you are having difficulty resting, come see us today so we can help.